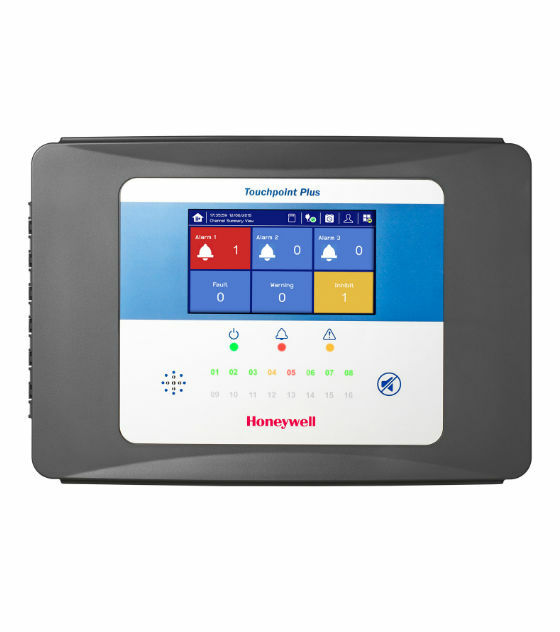 The Honeywell Touchpoint Plus has a uniquely developed user interface, which allows the operator to control their gas detection device safely, whilst knowing that their site and staff are protected and productivity can continue as normal. The Touchpoint Plus works across multiple industries and allows you to customize your system so that it matches your application requirements. The Honeywell Touchpoint Plus is designed for ease of use. The user can operate and manage their gas detection device efficiently by using the simple touchscreen system. 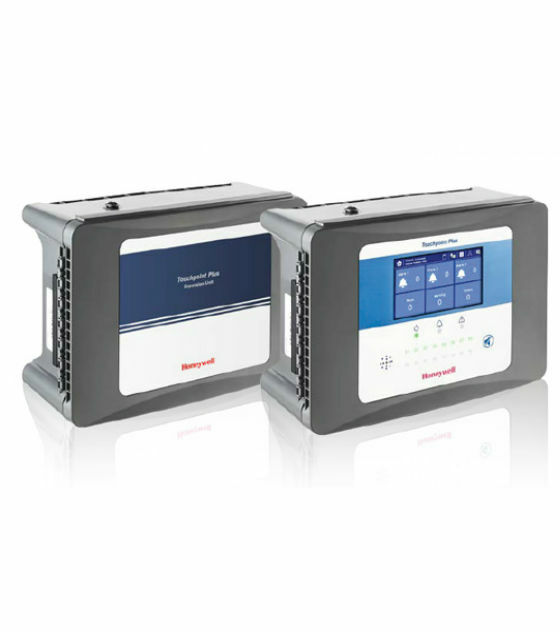 The Honeywell device simplifies operation, reducing the need for unnecessary training and costs. An easy to navigate menu system provides both real-time data and also historical data which can be downloaded and help identify developing threats. 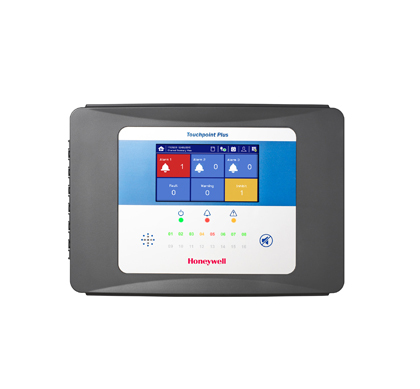 The Honeywell Touchpoint Plus comes equipped with full colour traffic light style status indicators, making it easy for the user to know immediately when something is wrong and allowing them to make a time critical decision based on just one quick look at the device. The Touchpoint Plus is made of an extremely strong and durable polymer plastic which is both dust and water proof. This Honeywell device can be directly mounted on the wall or used with an easily attachable mounting plate and is designed to withstand the toughest conditions. Installation time and cost are reduced with the uniquely tiered terminal, leaving plenty of space for wiring and the cable entries which are pre-drilled and ready for use. The device provides a suitable safety solution for gas detection systems on a small scale across a huge range of industries. The Touchpoint Plus is the heart of your gas detection unit, working with the industry leading Honeywell gas detectors and providing clear visual and audible alarms to create a simple yet reliable safety solution. TPPLBAWA2NNNNNN	Touchpoint Plus base control unit for up to 8 channels with AC supply and wall mounted enclosure. Supplied complete with 2x mA inputs, including Master 1, Master 2 and Master Fault. TPPLBAWV2NNNNNN	Touchpoint Plus base control unit for up to 8 channels with AC supply and wall mounted enclosure. Supplied complete with 2x mV inputs, including Master 1, Master 2 and Master Fault. TPPLBAWA4NNNNNN	Touchpoint Plus base control unit for up to 8 channels with AC supply and wall mounted enclosure. Supplied complete with 4x mA inputs, including Master 1, Master 2 and Master Fault. TPPLBAWV4NNNNNN	Touchpoint Plus base control unit for up to 8 channels with AC supply and wall mounted enclosure. Supplied complete with 4x mV inputs, including Master 1, Master 2 and Master Fault. TPPLBAWD4NNNNNN	Touchpoint Plus base control unit for up to 8 channels with AC supply and wall mounted enclosure. Supplied complete with 2x mA and 2x mV inputs, including Master 1, Master 2 and Master Fault. TPPLBAWA8NNNNNN	Touchpoint Plus base Control Unit for up to 8 channels with AC supply and wall mounted enclosure. Supplied complete with 8x mA inputs, including Master 1, Master 2 and Master Fault. TPPLBAWV8NNNNNN	Touchpoint Plus base Control Unit for up to 8 channels with AC supply and wall mounted enclosure. Supplied complete with 8x mV inputs, including Master 1, Master 2 and Master Fault. TPPLBAWD8NNNNNN	Touchpoint Plus base Control Unit for up to 8 channels with AC supply and wall mounted enclosure. Supplied complete with 4x mA and 4x mV inputs, including Master 1, Master 2 and Master Fault. TPPLBAWA8DNBNNN	Touchpoint Plus base Control Unit for up to 8 channels with AC supply and wall mounted enclosure. Supplied complete with 8x mA inputs, 24 programmable relays, and with battery backup. TPPLBAWV8DNBNNN	Touchpoint Plus base Control Unit for up to 8 channels with AC supply and wall mounted enclosure. Supplied complete with 8x mV inputs, 24 programmable relays, and with battery backup. TPPLBAWD8SNBRNN	Touchpoint Plus base Control Unit for up to 8 channels with AC supply and wall mounted enclosure. Supplied complete with 4x mA and 4x mV inputs, 12 programmable relays, with battery backup and with Modbus RTU. TPPLBAWA8D8NNNN	Touchpoint Plus base Control Unit for up to 8 channels with AC supply and wall mounted enclosure. Supplied complete with 8x mA inputs, 24 programmable relays, and with 8x repreated mA outputs. TPPLBAWV8D8NNNN	Touchpoint Plus base Control Unit for up to 8 channels with AC supply and wall mounted enclosure. Supplied complete with 8x mV inputs, 24 programmable relays, and with 8x repreated mA outputs. TPPLBAWD8D8NNNN	Touchpoint Plus base Control Unit for up to 8 channels with AC supply and wall mounted enclosure. Supplied complete with 4x mA and 4x mV inputs, 24 programmable relays, and with 8x repreated mA outputs. TPPLBAWA8D8BNNN	Touchpoint Plus base Control Unit for up to 8 channels with AC supply and wall mounted enclosure. Supplied complete with 8x mA inputs, 24 programmable relays, 8x repreated mA outputs, and with battery backup. TPPLBAWV8D8BNNN	Touchpoint Plus base Control Unit for up to 8 channels with AC supply and wall mounted enclosure. Supplied complete with 8x mV inputs, 24 programmable relays, 8x repreated mA outputs, and with battery backup. TPPLEAWA8SNNNNN	Touchpoint Plus expansion unit for up to 8 channels with AC supply and wall mounted enclosure. Supplied complete with 8x mA inputs, and with 12 programmable relays.